A madcap dark comedy about best friends determined to tackle the American Dream with bird feathers, duct tape, and a sticky AK-47. Hank and Larry are performance artists on the seedy streets of San Francisco where art fans flock to see what crazy performance they'll do next. Fame and fortune seem just around the corner--provided Larry can keep his best friend Hank's paranoia and delirium from spiraling out of control. But when poverty forces the performers to take computer jobs working for a ruthless billionaire CEO, their boss's hundred-hour workweeks, relentless corporate propaganda, and soggy breakroom burritos turn them into nervous wrecks. 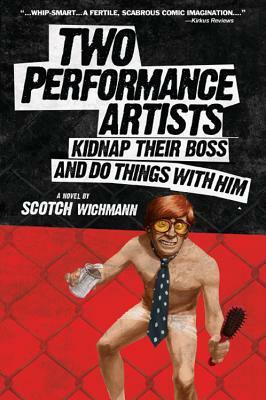 The first novel by a performance artist, Two Performance Artists was a 2013 Amazon Breakthrough Novel Contest First-Round Finalist.